Maverick and Einstein's story is here, it's addictive compelling and heartbreak all at the same time it was a story i can honestly say i wasn't expecting it. Who knew Einstein was hiding so much in plain sight? Intense doesn't even begin to describe my feelings. There is a particular passage that took my breath from me everything around me just stopped and I was there in that moment. Maverick is not a side character far from it and i loved getting to know how they met. His pain will become your pain you will become consumed by him. The twists and turns the author takes the reader on are so unexpected and kept me reading. Get ready because you have no idea what your about to read. This book hurts. It screams, birthrates, and it fights. Lock does everything it possibly can to make you run away. Are you strong enough to continue reading or will you crumble? I'm not even sure where to start other than to say...it hurts. I cried. I sobbed. I ugly cried. Molly McAdams hit low and hard with this one. 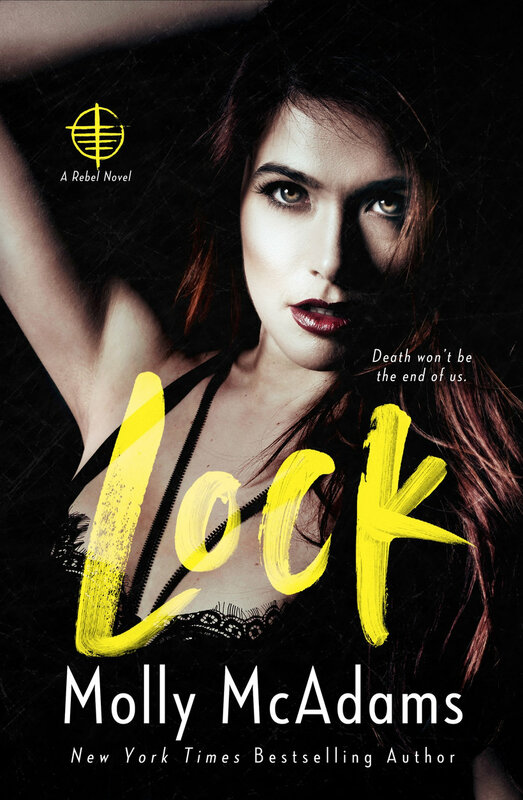 Lock hits vital organs with uncanny precision. Every feeling you will ever have: anger, rage, devastation, love, hope, remorse, loss, joy, and excitement. All those and more will flit through you quicker than you can turn a page. Lock is everything!!!!!! Familiar faces, old enemies, New allies, all a part of life. Cameos from Rachel Van Dykens Eagle Elite doesn't hurt this fangirl's heart either!!! I can't tell you how intense it was. You wouldn't understand or believe me. One day soon, you will..
Molly grew up in California but now lives in the oh-so-amazing state of Texas with her husband, daughter, and fur babies. When she's not diving into the world of her characters, some of her hobbies include hiking, snowboarding, traveling, and long walks on the beach … which roughly translates to being a homebody with her hubby and dishing out movie quotes. She has a weakness for crude-humored movies and loves curling up in a fluffy comforter during a thunderstorm ... or under one in a bathtub if there are tornados. That way she can pretend they aren't really happening.